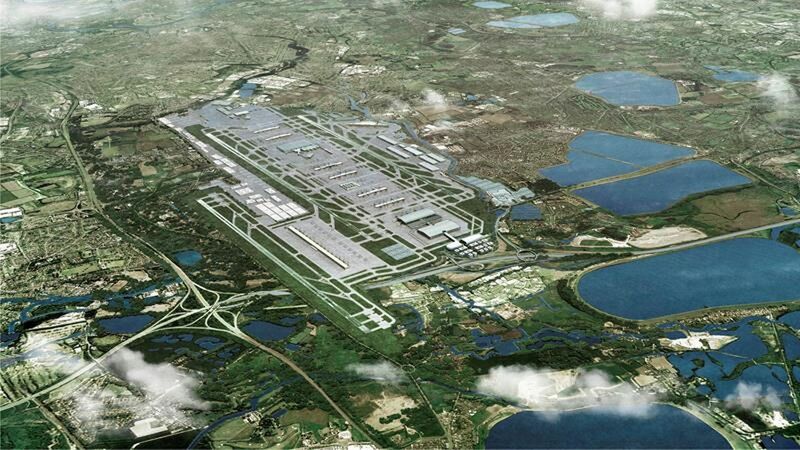 The government has approved a third runway at Heathrow to expand UK airport capacity. Transport Secretary Chris Grayling called the decision “truly momentous” and said expansion would improve the UK’s connections with the rest of the world and support trade and jobs. He will make a statement to the House of Commons about 13:00. A wide range of unions and business groups welcomed the decision to expand Heathrow. TUC general secretary Frances O’Grady said it was “absolutely vital for Britain”, while CBI chief Paul Drechsler said it would create jobs and boost economic growth. However, Sadiq Khan, the mayor of London, said it was the wrong decision for both London and the UK. Expanding airport capacity in the South East of England has been a political hot potato for many years. Zac Goldsmith, the Tory MP for Richmond Park, had threatened to resign if Heathrow expansion was approved and called the announcement “catastrophic”. He is expected to make a statement later on Tuesday. The shadow chancellor, John McDonnell, whose Hayes and Harlington constituency includes Heathrow, said he had opposed expanding the airport for the past 30 years and that “nothing has changed”. Foreign Secretary Boris Johnson and Education Secretary Justine Greening also have been vocal critics of Heathrow expansion. Ms Greening is expected to give her reaction to the decision in a message to her constituents in Putney, south-west London, while Mr Johnson will also make a statement. We have a long way to go before we see the proverbial shovels in the ground – there will be legal and planning challenges aplenty to come. However, with today’s decision to recommend a third runway, this government has arrived at a point its predecessors failed to. From beating ourselves up for not being able to build anything, the UK is suddenly building everything. Heathrow was chosen because of the extra boost it gives to the UK economy, but it is not the only mammoth project out there. After a last-minute wobble, the £14bn Hinkley Point nuclear power station was given the green light, while the biggest project of them all is coming down the track fast. Construction on the £42bn HS2 is scheduled to begin next year – and that is probably not all. Chancellor Philip Hammond has hinted he may reveal some moderate borrowing to fund targeted infrastructure spending in his Autumn Statement next month. It’s enough to make the Victorians sit up and take notice. If projections for a fairly sharp post-Brexit slowdown in the economy next year are correct then we may need this spending boost. If these projects proceed on time, there is something else we will need: people to build all this stuff. With unemployment close to historic lows, it’s not clear we have enough. Like the Victorians did, it seems very likely we will need to look abroad to find the workers for our golden age of infrastructure – and that, post-Brexit, will present a political rather than an engineering challenge. Last week, Prime Minister Theresa May moved to head off possible Cabinet resignations by giving ministers some freedom to speak out against the decision. 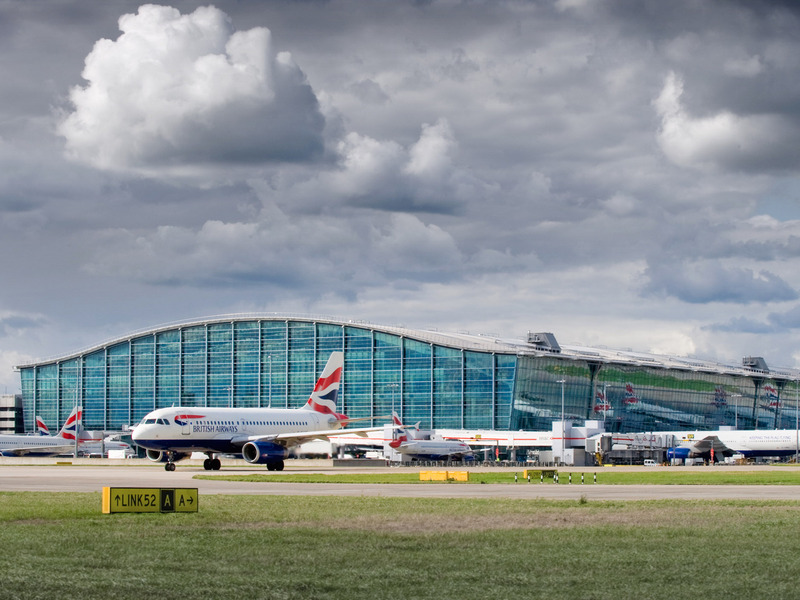 A study last year, led by Sir Howard Davies, recommended a third runway at Heathrow, but other options included a new runway at Gatwick or extending one of Heathrow’s existing runways. The Government has made the right decision for the UK by backing expansion at Heathrow. This decision respects the important work of the independent Airports Commission and declares to the world that the UK is “open for business”. Expanding Heathrow will keep the UK at the heart of the global economy. It will do more than any other infrastructure project to create jobs and share economic growth around the UK. It will open new trade routes for business and increase competition and choice for passengers. The coming weeks will be a critical time for the project. We would not be here without your support and it is more important than ever that we reach a national consensus on this vital project. Ministers approved the decision at the cabinet committee meeting on Tuesday morning. However, Downing Street has yet to officially confirm the decision. Transport Secretary Chris Grayling will make a statement to the House of Commons around lunchtime on Tuesday, But the decision faces a long consultation before it becomes final. A study last year, led by Sir Howard Davies, recommended a third runway at Heathrow but other options included a new runway at Gatwick or extending one of Heathrow’s existing runways. Last week Prime Minister Theresa May moved to head off possible Cabinet resignations by giving ministers freedom to speak out against the decision. Foreign Secretary Boris Johnson and Education Secretary Justine Greening have been vocal critics of Heathrow expansion. Ms Greening is expected to give her reaction to the decision in a message to her constituents in Putney, south-west London, a source said. Following the announcement, a public consultation will be held on the effects of airport expansion and then a final decision by the Government, which will be part of a National Policy Statement on Aviation. This will be put to MPs for a vote in the winter of 2017-18. It is unlikely that any new runway capacity would be operational before 2025. London’s Heathrow airport will continue to pay the highest rate bill of any business in England and Wales when new rateable values are applied in 2017. The airport’s annual bill will be £118m, according to calculations by the property surveyors CVS. The firm’s list of the top 50 rate payers is dominated by airports, power stations and London head offices. Harrods and Selfridges both appear in the top 10, paying £18m and £16m respectively each year. The new rateable values for tens of thousands of businesses in England and Wales were announced in September, following the first revaluation since 2008. The rates are a form of business tax, based broadly on the rentable value of the property in question. Once the rateable value is established, a “multiplier” set down by the government is applied to calculate the actual amount to be paid each year. In some parts of the country where property values have fallen, so have rateable values and thus the business rates to be paid. But in London and the South East property has become much more expensive and so business rate bills will rise for many businesses there next year. CVS said the rateable values of the top 50 properties, calculated as of 1 April 2015, had risen by £98m since the previous rateable values were decided in 2008. This meant, said Mark Rigby of CVS, that the owners of these properties would pay an extra £400m over the five-year life of the new rateable valuations. The offices of Bank of America Merrill Lynch in the heart of the City of London have seen their rateable value rise by more than 70% to £17m, while retailers Harrods, John Lewis and Selfridges have all seen increases of more than 50%. Although staying top of the list, Heathrow’s annual bill will in fact fall by £10m from its 2016 level, and other big payers such as Sellafield nuclear power station, and Stansted and Manchester airports, will also pay reduced bills too. But most of the big rate payers will indeed pay more. Gatwick airport will stay as the second biggest payer at £30m per year, and Sizewell nuclear power station will pay nearly £24m. Others in the top 10 are Heathrow airport’s engineering base, Heysham 2 power station in Lancashire, Harrods, the Channel Tunnel, Selfridges, and Vodafone’s fibre optic network, based at offices in Berkshire. The Channel Tunnel’s bill will rise by 114% to £16.4m, while Hinkley nuclear power station will pay 198% more at £11.8m a year. The BBC will pay £13.4m on its New Broadcasting House headquarters in central London, up from £9.5m this year. Plans for a third runway at Heathrow have received a significant boost after the Scottish government announced its backing for the scheme, which it claimed would create up to 16,000 jobs across Scotland. Holyrood made the announcement amid mounting speculation that the Westminster government is to back a third runway in the coming weeks, ending years of arguments over airport expansion. Environmental campaigners and Green politicians decried the move as “a disaster for climate change”, and questioned whether the promised jobs stimulus would come to pass. The cabinet secretary for the economy, jobs and fair work, Keith Brown, called on Theresa May’s government to follow Scotland’s lead. A series of commitments, including on jobs, investigating the use of Glasgow Prestwick airport as a potential site for a logistics hub for building the third runway, and a reduction of £10 per passenger on landing charges paid by airlines operating services from Heathrow to Scotland, will be included in a memorandum of understanding signed between London Heathrow airport and the SNP government on Monday. Announcing the memorandum, Brown said the Scottish government had engaged extensively with Gatwick and Heathrow’s expansion proposals, and the latter’s offered the best deal for Scotland. Growing the number of direct international air routes to and from Scotland remains a priority for this government, but the proposals from Heathrow offer all our airports a range of benefits that will help them grow passenger numbers and continue to build on their successes. John Holland-Kaye, the chief executive of Heathrow, said the partnership demonstrated how the expansion could work “for every region and nation of the UK”. He said an expanded Heathrow would create up to 16,000 jobs in Scotland. Every time there is discussion about airport expansion of any kind, it is accompanied by ridiculous jobs figures, but it is difficult to see how 16,000 new jobs could materialise with just a bit more direct traffic. If it is easier to fly somewhere else then people will do their business elsewhere so that takes business out of Scotland too, and balances out any increase. He said his biggest concern was the impact on the environment. The biggest disappointment is that the Scottish government talks a good game about climate change and here they are backing the expansion of one of our biggest airports, which will result in 70% more traffic and emissions. If we’re concerned about climate change we can’t possibly expand aviation even more. Throughout the Scottish National party’s conference, which begins in Glasgow on Thursday, Heathrow will operate a “private, airport-style lounge” with a free bar to promote the benefits of the expansion to Scotland, as it did at last year’s event in Aberdeen. There have been complaints that the SNP has priced non-corporate campaigners out of the event, with the cost of the cheapest, single stall for a charity this year rising to nearly £3,000. An alternative fringe, to run concurrently with the SNP conference at a nearby – and more affordable – venue, will include Friends of the Earth Scotland. Expansion of hugely polluting aviation can only be a disaster for the climate, not to mention the impact on local communities. The Scottish government are flawed in thinking that more of everything is somehow sustainable. Maintaining air links between cities as far apart as Inverness and London makes sense, but at the same time we must invest in improvements to our rail network and make it easy to use technology to do business from anywhere in Scotland. That’s where the Scottish government’s efforts should be focused. The growth of airports is a last-century idea and that’s where it should stay. May is believed to favour expansion at Heathrow, despite opposition from members of her cabinet including Boris Johnson and Justine Greening. Las week Zac Goldsmith, a longstanding opponent of the Heathrow plan, reiterated that he would quit as an MP if the government gave the green light to a third runway. Chancellor Philip Hammond has said he will prioritise spending on new homes and transport rather than following his predecessor George Osborne’s aim to balance the books by 2020. He told the Conservative conference the deficit was still too large and would need to be tackled “in due course”. But he said the Brexit vote may cause “turbulence” and business confidence would be on a “bit of a rollercoaster”. He said that it was “common sense” to invest to support growth and jobs. The BBC’s political editor Laura Kuenssberg said it was a “big change”. She said that while Mr Hammond had already dropped his predecessor’s target of eliminating the deficit by 2019-2020, what was particularly striking was his refusal to set a new timetable to bring the budget into surplus. In his conference speech, Mr Hammond said Mr Osborne’s deficit reduction policies “were the right ones for that time” but that times had changed since the vote to leave the EU. When times change, we must change with them,” he said. “So we will no longer target a surplus at the end of this Parliament. But make no mistake the task of fiscal consolidation must continue. The British people elected us on a promise to restore fiscal discipline. And that is exactly what we are going to do. But we will do it in a pragmatic way that reflects the new circumstances we face. While the market had “calmed” since the Brexit vote, he said it had caused uncertainty for business and the government had a duty to act to support the economy. Mr Hammond’s speech came against a background of the pound falling to its lowest level against the dollar since early July, after the timetable for starting Brexit negotiations were set out on Sunday. Addressing the party faithful he said that as part of a new “flexible and pragmatic” plan, the details of which will be fleshed out in next month’s Autumn Statement, there would be greater scope for investment to boost the economy, including extra borrowing of £2bn to speed up the construction of new homes. Mr Hammond said the government would use “all the tools at its disposal” to increase the amount of new housing stock “because making housing more affordable will be a vital part of building a country that works for everyone”. Asked whether the public investment plan marked the end of the “age of austerity”, Mr Hammond told BBC Radio 4’s Today the annual budget deficit was still “eye-wateringly large” and that a framework was still required to get the public finances into the black “in due course”. But while the UK economy appeared to be in robust shape, he said there was “anecdotal evidence” of greater caution since the Brexit vote – with some firms putting off investment decisions – and it was the government’s duty to help prepare the economy for any potential softening and to boost long-term productivity. Global Entrepreneurship Week (GEW) is the world’s biggest celebration of entrepreneurship. And we’re back this November! Our week long festival of live events takes place throughout the UK, celebrating and cultivating our entrepreneurial culture. We’ll be supporting people at every stage of their journey to get the help they need to start-up and scale-up their business. Exciting networking, discovery and learning workshops will create an inclusive growth environment for organisations, entrepreneurs and social enterprises of all shapes and sizes. Over the past decade we’ve engaged and suported more than three million people. Entrepreneurship is a journey. Entrepreneurs and business owners need specific guidance to start off and continue in the right direction. When so much support is available, it can be deceptively easy to get lost in the UK ecosystem. In 2015 we asked thousands of entrepreneurs how we could make GEW better. They told us about specific stages of their personal journeys where they were looking for support. We call these Compass Points – in tribute to the famous GEW Compass logo which was designed in the UK and is now used to signify GEW in 162 countries. This year our whole campaign is geared towards helping aspiring and active entrepreneurs navigate their own personal entrepreneurship journey and connect with the right support at the right time. We’ve partnered with some of the UK’s leading entrepreneurship and enterprise organisations to create a curated programme covering key areas where the UK’s entrepreneurs are looking for tailored and focused support. From intellectual property rights to how to establish a social enterprise or access startup finance – we have identified an expert partner to help you on your journey. In 2016 designed our campaign from the ground up with a focus on delivering practical support and outcomes. We want to make sure that we help participants discover and reach the year round resources, in their area, region or business sector. These resources will become live on uk.gew.co throughout October and in November each of our Compass Partners will host a series of events relating to their thematic area. These Compass Events will be supplemented by blogs, videos and other online content to ensure that everyone in the UK can take part in #GEW2016. Company owners feeling confident are now outnumbered by those that feel the opposite, a study by the Federation of Small Businesses found. The Autumn Statement comes at a critical time for UK businesses of every size. With Labour’s annual conference taking place now, the Conservatives’ due early in October and the Autumn Statement just weeks away on November 23, FSB members met Chancellor Philip Hammond in Downing Street last week and pressed him to focus on policies including business rates reform, giving the green light to infrastructure projects and a simplified modern tax system. FSB members report a continued dip in confidence, and there are a series of domestic policy decisions we now need from Ministers to boost the economy. Top of the list is delivering infrastructure projects, both large and small, to connect small businesses and to open up public procurement to them. In addition, we want to see expansion of the annual investment allowance to drive innovation, a streamlining of the tax system to boost economic growth and new help for the self-employed. I feel very clearly that the Government is very different to the previous one and is listening more. If ever there was a time for the small business groups to get together and present a united voice, it is now. We have talked to 15 groups, including the British Chambers of Commerce, the FSB, IPSE, the Centre for Entrepreneurs and the Scale Up Institute. We have said: “Let’s find common areas of interest, let’s all come together”. With party conferences, all organisations are going to want politicians to do too many things. It becomes easy to ignore. We hope that if we all get together it will be difficult to ignore us. We are calling Thursday’s event “United for Small Business”. She said topics of discussion were likely to include certainty over when Article 50 will be triggered, the treatment of dividends, the Living Wage, European funding for businesses and industry strategy. The BCC warned on Tuesday that businesses were still in the dark on apprenticeship funding reforms, including the apprenticeship levy. With just over six months until it is introduced, a survey of 1,600 business leaders in August showed that nearly two in five still had no understanding of it or had not heard of it. Meanwhile, a YouGov poll of small business owners for Heathrow Airport has found 60 per cent see a third runway at Heathrow as the best way to show the UK wants to trade internationally, compared with 19 per cent for Gatwick, 16 per cent for the HS2 rail link and 22 per cent for the Hinkley Point nuclear plant. Seventy-nine per cent believe infrastructure investment is key to making Brexit a success. Enterprise Nation has announced a trade mission to China supported by Gatwick Airport and Chinese internet giant Alibaba among others. Jones has invited Liam Fox, Secretary of State for International Trade, to join them. Fox recently faced criticism over recorded comments about ‘fat and lazy’ British business people. There has been little impact of the Brexit vote on the UK economy so far, says the Office for National Statistics (ONS). its chief economist Joe Grice said. Official figures have not yet reflected the collapse in confidence predicted by some surveys since the referendum. But the ONS warned that we have not yet had official figures for the service sector, which are due next week. The services sector accounts for more than three-quarters of the economy – the index of services for July – is out on 30 September. The first estimate of how the whole economy fared in the three months after the referendum will be released on 27 October. There were stark warnings during the referendum campaign of the short-term effects of a vote to leave the European Union. But such effects have not yet appeared in official figures. The manufacturing and construction sectors have followed much the same trends as they had in previous months, while the ONS said the rise in inflation could be largely accounted for by last year’s declines coming out of the annual figures. Employment figures for the three months to the end of July remained strong. Retail sales fell 0.2% in August, but had grown 1.9% in July. But Joe Grice stressed that the figures seen so far were short-term indicators. Customer complaints have increased at almost half the water companies in England and Wales, with some seeing “alarming” surges, a watchdog has said. 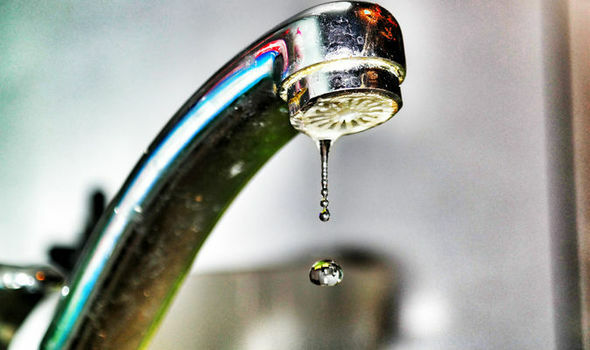 Four have been told by the Consumer Council for Water (CCWater) to report back by the end of October to explain what they are doing to cut complaints. Southern Water was the worst performer for the fourth year running, with 10.3% increase in complaints in 2015/2016. The others were Bournemouth, Affinity and Dwr Cymru Welsh Water. Across the industry, billing and charges, including debt recovery, accounted for just over 60% of written complaints in the last year. Southern, which serves Kent, Sussex, Hampshire and the Isle of Wight, received about 77 complaints per 10,000 connections – more than double the industry average of 33.7. Written complaints to Dwr Cymru increased by 115.1%, while Bournemouth Water’s increased by 90.6%. Affinity Water, which covers parts of Bedfordshire, Berkshire, Buckinghamshire, Essex, Hertfordshire, Surrey, west London, Kent and Essex, saw an increase of 82.3%. Overall, 10 out of the 21 water companies in England and Wales saw an increase in written complaints in 2015-16. Complaints have been going down in recent years but it is feared the trend could start to reverse. The overall number of written complaints to the industry fell for an eighth year, but by only 0.5% to 106,196.
said Tony Smith, chief executive of CCWater. That’s why we have asked four of the poorest performing companies to report to us by the end of October. Southern said it was disappointed in its performance but this had been improving since November. It said the number of complaints received about water services was among the lowest in the industry but billing complaints pushed it into the bottom spot. We are pleased to report back to CCW next month, and are confident the figures we submit will show a marked reduction in the number of complaints. LONDON, England – Seven Labour MPs representing steel communities across the North have called on Business Secretary Greg Clark to get on with Heathrow expansion after the airport revealed it expected to need 370,000 tonnes of steel to build its new terminals in the early 2020s – representing 10% of the UK’s 2015 steel output and the equivalent of building 30 new Shards or 16 Wembley stadia. The airport has already pledged to follow the new public sector procurement rules regarding steel purchasing and new research released today by economic consultancy QUOD concluded that the tonnage required for an expanded Heathrow could sustain 700 jobs across the UK. This is welcome news for communities such as Scunthorpe, Port Talbot and Teesside – all areas that have lived with the threat of devastating job losses as firms pledge to close down UK steel plants. Responding to the research, the UK steelworkers’ union Community today backed Heathrow’s expansion plans as vital for the long-term future of the UK’s steel industry. Theresa May has a real opportunity to deliver on her promise to build a better, fairer Britain by backing Heathrow expansion and securing a long-term future for British steel. It’s absolutely critical that we don’t stonewall private infrastructure projects that are going to stimulate demand for our steel. Community joins the GMB and top steel constituency MPs from across the country to call on Clark to include Heathrow expansion in his hotly anticipated industrial strategy for steel and to pressure Government colleagues to get on with approving a decision. By committing to use UK steel Heathrow is not only supporting the industry at a critical time, it is also setting an important precedent for all major infrastructure and construction projects in Britain. UK produced steel is high quality and competitively priced, and it supports thousands of jobs and communities. A revitalised steel industry is one of the key foundations Britain will need if we are to secure our place as a global trading powerhouse in a post-Brexit world. The amount of steel that will be required to build this major project will be a much needed boost for the UK Steel Industry, steel workers and their communities. This is another good reason why the UK government needs to make a decision quickly in support of Heathrow expansion. Unions, MPs and manufacturers are clear that an expanded Heathrow will kick-start growth across the UK – particularly for steel communities currently under threat from mass job losses. In the wake of Brexit putting years of economic uncertainty on the horizon, we need to say yes to projects like Heathrow which will create thousands of jobs and show Britain is serious about its future. If the Prime Minister greenlights expansion of Heathrow, the biggest privately funded construction project in the UK, she will help create jobs up and down the country. In the steel industry alone, we will support up to 700 skilled jobs by ordering up to 370,000 tonnes of high quality steel. Heathrow expansion will be the cornerstone of the UK’s economy.